Even if often dimmed, of the ancient rhythms of work and the cycle of the season, dictates the rites and flavours that accompany festivals. 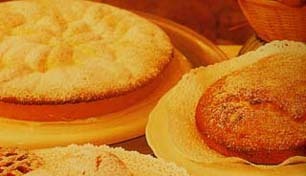 One of the most heartfelt in Le Marche, significant for the specialities that gladden the table, is Carnival. The refined simplicity of Polenta dolce con marmellata (boiler maize flour with jam) or a Ricottino di pecora (soft sheep’s cheese) mixed a little childishly with hot coffee and mistrà, might well be enough to bring some joy while awaiting the spring.